2014 FILM SERIES #1, An inter-disciplinary research project combining old mechanical film technologies techniques with and new media technologies, performance Oct 2014, Tempo Festival New Zealand. 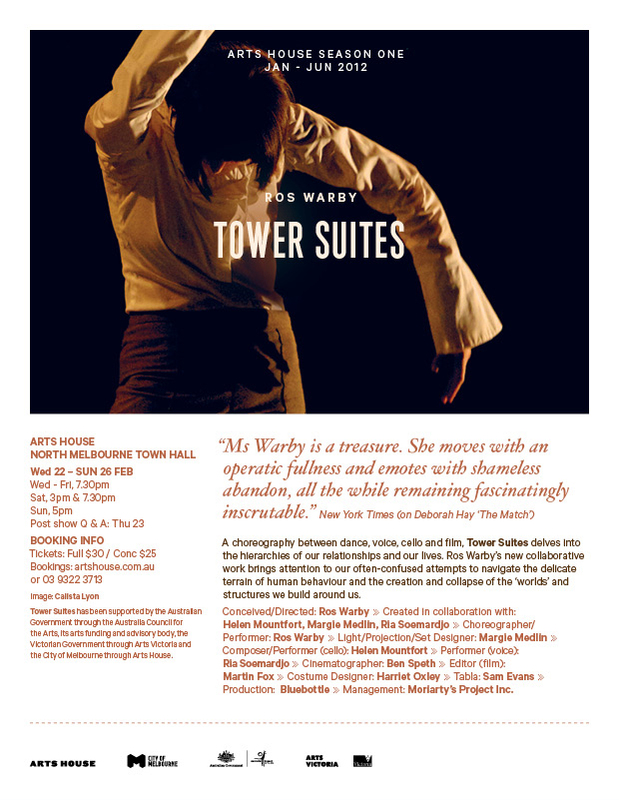 2012 TOWER SUITES, Choreographed & Performed: Ros Warby, Composer & Performer: Helen Mountford, Vocalist & Performer: Ria Soemardjo. Première: Arts House, Melbourne, Australia. Science and Art collaboration presented: 2012 Somatic Technology conference, Chichester, UK, 2011 Body Festival, Christchurch, New Zealand 2011 SEAM 2011, Spacing Movements Out Side In, Symposium, Sydney, Australia. 2002 SOLOS, Choreography Ros Warby, The Adelaide Festival of the Arts, SBC Purcell room, London, Not Dance Nottingham, UK. Portland Institute for Contemporary Art, USA. 2002 A DOUBLE FACE, Choreography John Jaspers, Lyon Opera House, France. 2000 CRUMPLED, Choreography Gideon Obarzanek, Chunky Move, Melbourne, Brisbane, New York. 2000 THE ENDS OF THINGS, Choreography Lucy Guerin, Lucy Guerin Company, Melbourne. 2000 IN THE HEART OF THE EYE, Choreography Sandra Parker, Australian tour, Paris. Melbourne, Sydney, NYC, London, Denmark, Perth. Choreography Nanette Hassel, Composition Jonathan Mills, Adelaide Festival of Arts. 1995 “TRESNO” An opera in movement. Produced by The National Gallery of Victoria. Celebrating Women at The National Gallery of Victoria. Produced by The Contemporary Music Events Company. Performed at noted domes in the Melbourne city area. 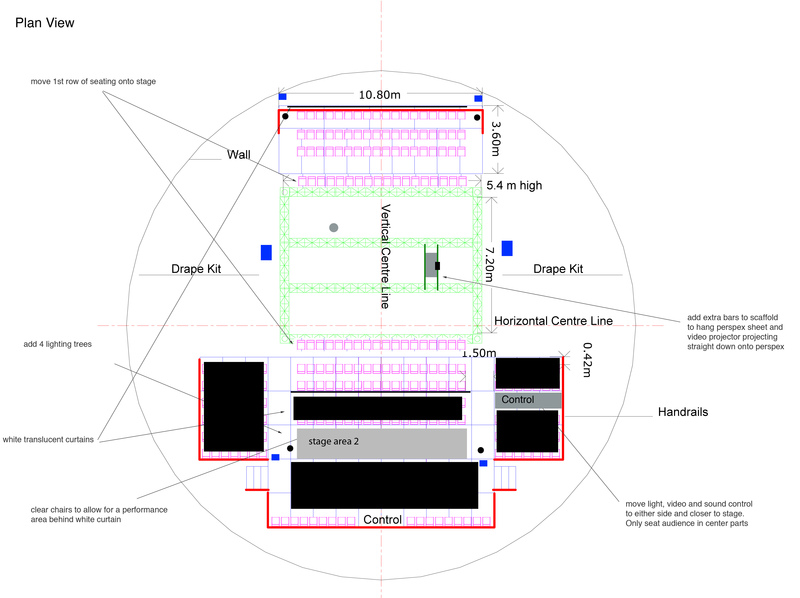 Group devised, Produced by the Performance Space. Written & Directed by Jenny Kemp. Choreographed & performed by Russell Maliphant. Tour of England & Scotland. Tour of England & Israel. Sound design Debbie Bookbinder, live music Ion Pearce. Choreographed by Helen Herbertson, Dianne Reid and Beth Shelton. Written by Joanna Murray Smith Directed by Kerry Dwyer. Co-authored by: Annette Tesoriero, Nigel Kellaway and John Baylis. “LOCAL MOTION” – A SEASON OF DANCE Athenaeum Theatre 2, Melbourne. Jude Walton and Anne Thompson.